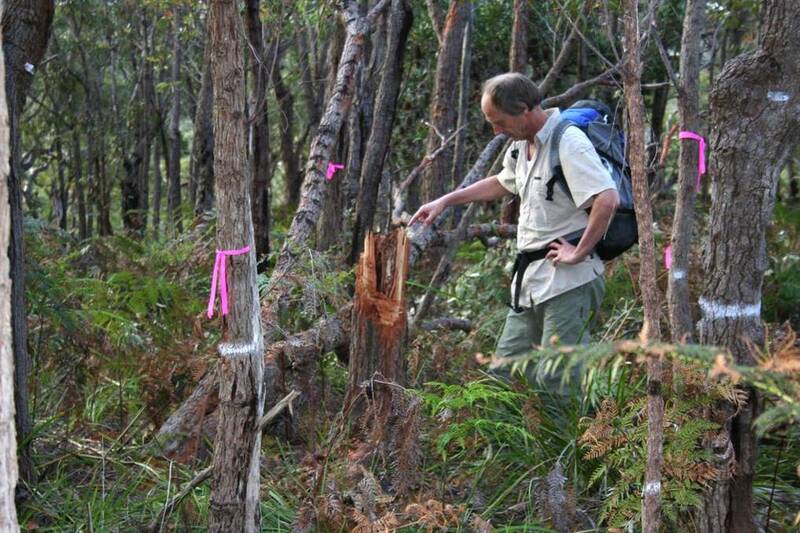 Friends of the Royal National Park Chairperson, Ian Hill, inspects tree destruction at Spring Gully, Bundeena. The following letters have been published by the St George and Sutherland Shire Leader in response to their article of 8 Oct 2014 “Tree vandals strike near Spring Gully Bundeena development“. What is going on at Spring Gully is wrong on so many levels. Scouts should never have sold the land that was gifted to them and marked as a “recreation area” during the sale of the residential subdivision of the area in the 1960’s. The National Parks and Wildlife Service invited Scouts to donate the land for addition to the Royal National Park in 2011. Scouts also refused the offer of purchase from the Foundation for National Parks and Wildlife in 2013. The successful purchaser is seeking to purchase adjoining public land to make his development proposals feasible. Currently this land is undergoing a survey. Council has reneged on its promise to transfer its adjoining 8.5 hectares of bushland and upland swamp to the National Parks and Wildlife Service. Mayor Kent Johns wrote to local residents in 2013 stating this promise. Instead Council now plans to make its land available for development. All this land is highly bushfire prone and the local Rural Fire Service brigade oppose development in Spring Gully on operational safety grounds. The developer has purchased the steep side of a gully that slopes into a freshwater wetland, comprised of deep, highly erodible, Quaternary sand soils. The land is marked on the state vulnerable land map. The property is recognised as high biodiversity, important habitat, riparian corridor and containing state listed endangered ecology. It is zoned as E2 Environmental Conservation in the draft local environment plan. The vegetation in this location and its adaptation to the relic cliff dunes has been cited as supporting the scientific justification for the nomination of the Royal for world heritage listing. It is highly visible from the approach to and opening stretch of the Coast Track. This heavily vegetated property does not have the environmental capacity to accommodate the enormous asset protection zone clearing required by the Rural Fire Service building code. It is too steep to meet the standards for mechanical fire hazard reduction. The existing NPWS fire management plan is for periodic burning which the current owner has said he will not allow in future as it will be too disruptive to the proposed tourism business. RFS standards for eco-tourism in high bushfire prone areas require that they be evacuated on total fire ban days so the proposed facility will be closed on many days over the fire season. The developer has proposed building a family residence on the land and has outlined a plan to trial one or two eco-tourism tents on a “proof of concept” basis with the possibility of rolling out a total of six tents. The E2 zone does not allow residential development but “Eco-tourism” is a well known planning loophole. There is currently no road access to the property. Development will be highly invasive requiring road construction and the removal of trees over a very large area to support one residential dwelling and a maximum of twelve tourists. The National Parks and Wildlife consider this land to be an “in-holding” as it is physically set into the park and the only potential road access is through the park. Bundeena provides 232 accommodation beds across 44 bed and breakfast and holiday rental properties. In addition Bonnie Vale accommodates 308 campers. The tens of thousands of bushwalkers, picnicking families, holiday makers and day trippers that visit Bundeena are attracted to our natural beauty and tranquillity. The local economy, the bed and breakfasts, shops, cafes, clubs and the vibrant art trail studios all rely on the natural splendour of Bundeena’s setting within the Royal National Park. Bundeena and the Royal National Park provides an escape into nature for millions of Sydneysiders and visitors from far afield each year. Invasive development into the bush on highly environmentally sensitive and bushfire prone land next to the entrance to the Coast Track is not in the best interests of the local economy and the community at large. 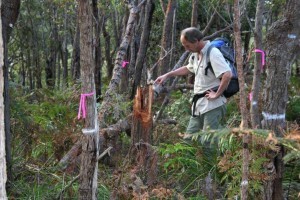 The Spring Gully Protection Group calls on Council and the NSW government to ensure this land is placed on the Land Reservation Acquisition List so that the property can be purchased (when it becomes available) and added into the adjoining Royal National Park and placed under appropriate management. The Group calls on government to ensure that all 15.5 hectares of bushland and wetland at Spring Gully is added into the Royal National Park and conserved for the benefit of the many visitors, local and international, that visit Bundeena and the Royal National Park to enjoy its natural beauty. How shocking. Who would do such a thing? Spring Gully needs to be in public hands and part of the Royal National Park. It is not safe for development, due to the fire risk. Sutherland Council is quite strong in some areas but allowing this development to go ahead is just wrong! I just researched into this issue and think it’s just plain disappointing and sinful. Come on Council, get the facts and do something about this, let alone keep promises made. Spring Gully is a unique, beautiful and highly sensitive area of spectacular native bushland that MUST be saved and protected for nature, wildlife and the Australian community in perpetuity. This is an ongoing tragedy. First the Scouts sell out to a developer, despite other offers that would better benefit the community and preserve the integrity of the bushland. Then council favours the developer’s proposal, despite the concerns of the local community, and the inevitable damage any development will inflict on the natural habitat. And now a ‘vandal’ has wreaked havoc on the trees. There is environmental vandalism at play here, and not just by the hands of the tree vandal.